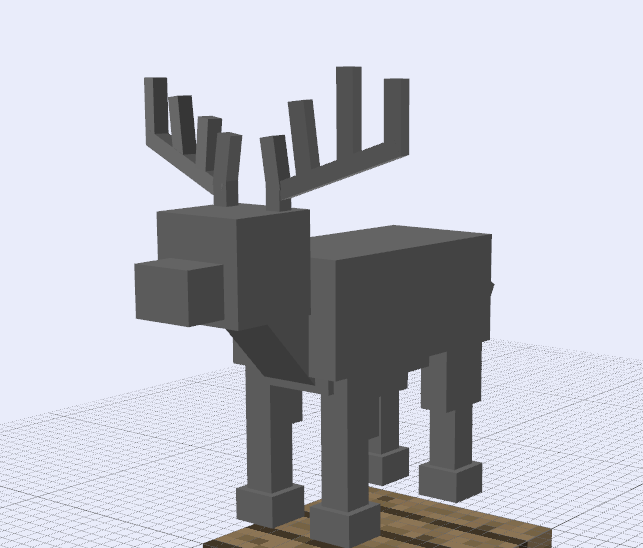 I am making a mod, and I was wondering if anybody had a reindeer/deer model in techne I could use? Only bump once every 24 hours. This is the second time. I'm pretty sure I haven't given it to anyone else. I'll check and get back to you later. I have been trying to create a deer model, but failing miserably. Could you PM me the model too, I just want to use ti for a personal mod. Thanks! I think I have one laying around somewhere. I doubt very much that the developer would even notice my comment/message as his mod post has around 2.9k replies. Ask the developer for it. Even if you found it, you'd need their permission anyway. If not, well I may get some free time, but I'm currently working on a rather detailed starfighter model, which might take a while. Please only bump once every 24 hours. As for your OP, have you looked at the deer models from the Mo' Creatures mod? I don't quite understand your post, but if you could make me one than I would be happy.